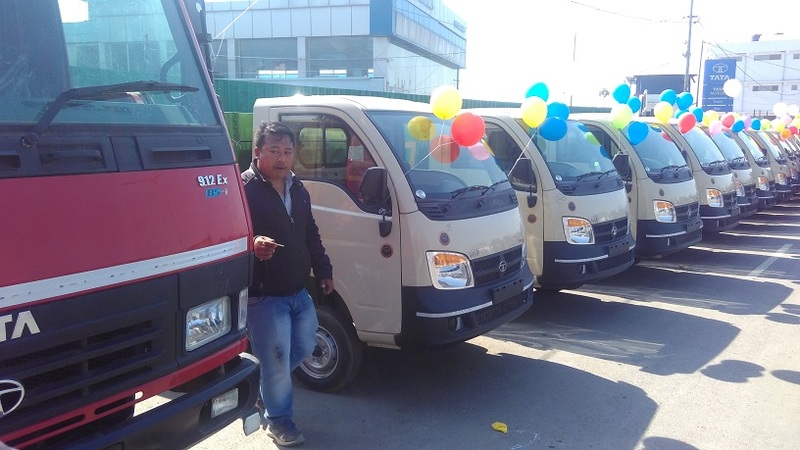 Municipal administration, housing and urban development (MAHUD) minister Thounaojam Shyamkumar on Wednesday handed over 31 mini trucks including 26 Tata Ace Hopper Tipper and 5 Tata LPK 912 to the elected members of the seven Urban Local Bodies (ULBs) in Imphal. The vehicles which were procured under the Non-Lapsable Central Pool of Resources (NLCPR) after North Eastern Council (NEC) released Rs 4.12 crore as the first instalment out of project cost (Rs 11.46 crore), will be used for collecting waste at the seven ULBs in Thoubal, Lilong Thoubal, Andro, Yairipok, Sikhong Sekmai, Wangjing and Heirok. Around 30,000 waste bins along with 10 litre capacity 15,000 separate waste bin of blue and green colours will also be distributed to seven ULBs for segregation of waste at the source. The collected waste will be taken (in compact form) to the Lamdeng Solid Waste Management Plant which is under a Private-Public-Partnership model in the outskirt of Imphal, to generate 1 MW electricity. Imphal areas produce around 120 metric tonnes of solid waste on a daily basis. The day’s vehicles handing over function was attended by MAHUD Minister Th Shyamkumar along with MAHUD secretary M Joy and its Director Th Harikumar. Addressing the function, Minister said that collective efforts of the elected members and public are needed to keep the towns neat and clean.He advised the elected members to also focus on the maintenance of the vehicles.MAHUD Secretary M Joy advised the elected members to utilise the vehicles as per the guidelines issued to the various ULBs. He said that the vehicles should be used only for the purpose of solid waste management and the maintenance of the vehicles will be done by the concerned ULBs from their respective funds. On the other hand MAHUD Director Harikuamar said that 27 urban local bodies in the valley areas have been divided into four clusters A, B, C and D. Cluster A includes urban local bodies in Imphal area, Cluster B – Thoubal region, Cluster C – Bishnupur, Moirang region and Cluster D – Mayai Lambi, Kakching, Sugnu region. Moreh and Jiribam are not included in the clusters due to physical distance and they will have their respective stand alone mini solid waste management treatment plant, he added.